Each medley on the recording is complemented by a beautifully produced card; a marvellous print with flip sides including both musical notation for the tunes in the medley and a poem reflecting the title of one of those tunes. The set including the CD, can be stored together on a book shelf where the spine makes it appear to be a thin paperback book. 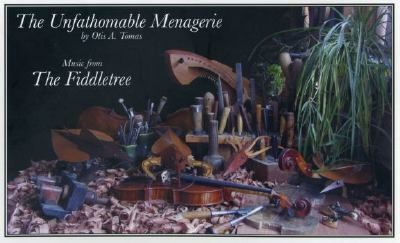 A continuation of his amazing Fiddletree book, once again Otis' creativity is unforgettably presented. The all-original music is played on musical instruments (violins, viola, cello, mandolin, guitar and harp) all made by him out of wood which he cut from one majestic local maple tree. The musicians are the same cast of international players featured on the initial Fiddletree book-CD. The repertoire and presentation is however totally different than the first project.